California gives Tesla $35 million tax break for Model S production. Good move. California Is Giving Tesla Another Huge Tax Break. Good Move. California is exempting Tesla from taxes on the purchase of equipment to ramp up manufacturing of its wildly successful Model S sedan. This is going to drive the Tesla-haters crazy. The luxury electric-car maker is getting a huge new tax break from California, SFGate reports. The state will let it off the hook for sales and use taxes on some $415 million in new equipment it’s purchasing in order to expand production of the Model S at its Bay Area factory. That amounts to a $34.7 million tax break to produce more of a vehicle whose sticker price starts above $70,000. Tax breaks for the rich! Corporate giveaways! The working people forced to pay for tech titans’ fancy rides! So, in fact, it isn’t Tesla per se that’s getting special treatment from the state. It’s the clean-tech industry in general, which California is very keen to promote for two reasons. One, it wants to establish itself as a leader in a sector that it believes will be a big driver of its economy in the decades to come. And two, it’s one of the few states in the country that’s actually, genuinely serious about reducing its greenhouse-gas emissions. Promoting clean energy is a crucial part of its strategy. Nor is the deal likely to burden the state’s taxpayers. Tesla’s Model S is in huge demand, and the company has been scrambling since its launch to ramp up production. 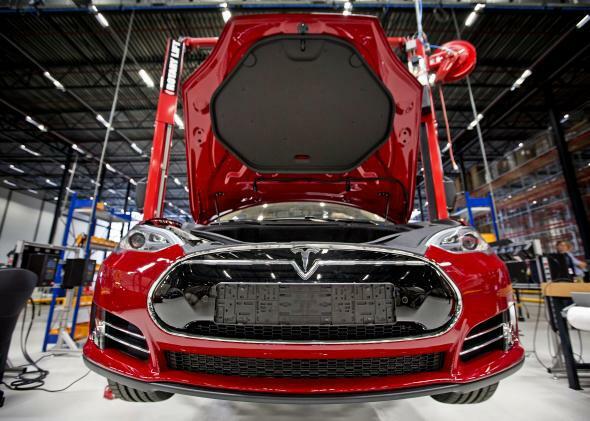 SFGate reports the new equipment will help Tesla boost production by some 35,000 vehicles a year from its current annual rate of 21,000. State analysts predict the added jobs and vehicle sales are expected to bring in more money to the state than the tax break will take away. For all that, I think some criticism might still be justified if Tesla in the end simply remains a producer of luxury cars for the wealthiest consumers. But the company has insisted from the outset that its ultimate goal is to produce an all-electric car that middle-class buyers can afford. A Tesla spokeswoman told me last week the company is still on track to release its third-generation vehicle by 2016 or 2017. The price is widely expected to be about half that of the Model S—not cheap, but certainly headed in the right direction. Meanwhile, the success of the Model S has kickstarted the industry as a whole and made California the epicenter of the electric-car world. That’s thanks in part to a similar tax break the state gave the company several years ago to manufacture its cars there in the first place. I’d say there are worse ways for a state to spend a few tens of millions. But if you’re still convinced that tax breaks to big manufacturers are unfair and wrong, you might want to train your ire on a state a little further north, which just offered an all-time record $8.7 billion in tax breaks to a company that manufactures perhaps the least-green transportation technology of all. The worst part: Boeing might just move out anyway.